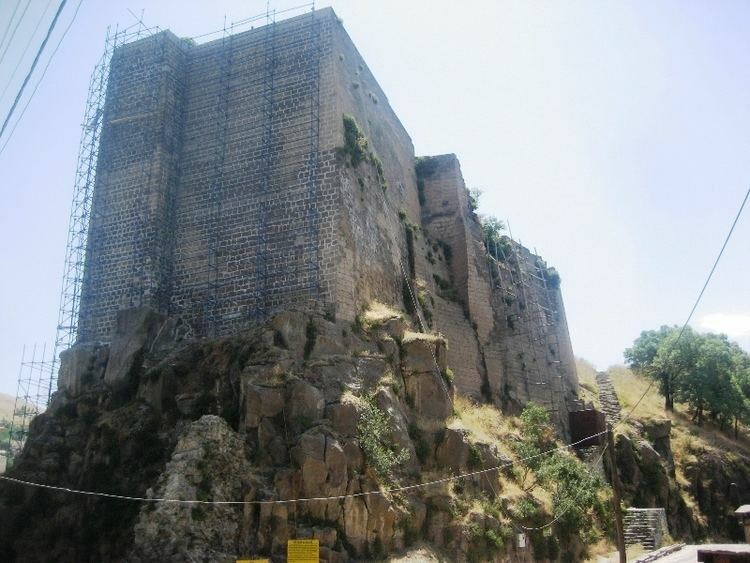 Bitlis (Armenian: Բաղեշ Baghesh/Paghesh; Kurdish: Bidlîs‎; Syriac: ܒܝܬ ܕܠܝܣ‎ Beṯ Dlis; Ottoman Turkish: بتليس‎; Medieval Greek: Βαλαλης Balales) is a city in eastern Turkey and the capital of Bitlis Province. 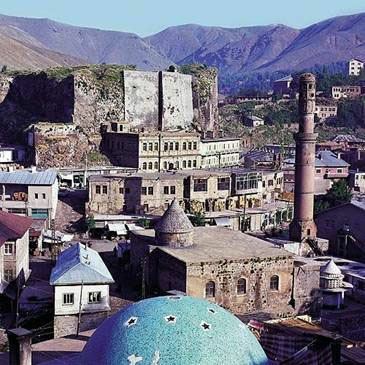 The city is located at an elevation of 1,545 metres, 15 km from Lake Van, in the steep-sided valley of the Bitlis River, a tributary of the Tigris. The local economy is mainly based on agricultural products which include fruits, grain and tobacco. Industry is fairly limited, and deals mainly with leatherworking, manufacture of tobacco products as well as weaving and dyeing of coarse cloth. 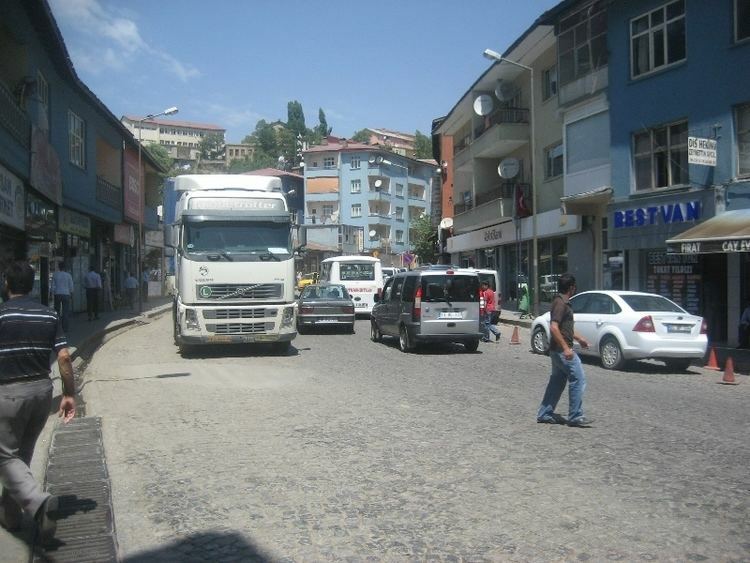 Bitlis is connected to other urban centres by road, including Tatvan on Lake Van, 25 km to the northeast, and the cities of Muş (Mush), 100 km northwest, and Diyarbakır, 200 km to the west. The climate of Bitlis can be harsh, with long winters and heavy snowfalls. Summers are hot, and often humid. In 1814 the population of Bitlis town was said to be 12,000 people - one half Muslim, the other half was constituted by Christian Armenians. By 1838 its population was said to be between 15,000 and 18,000 - two thirds Muslim, one third Armenian, and a small minority of Syriac Christians. In 1898 Lynch considered the population to be close to 30,000, comprising 10,000 Armenians, 300 Syrians, and the rest Muslim Kurds (both Alevis and Sunnis included). The Armenians had five schools for boys and three for girls. One third of the population of Bitlis was ethnic Armenian prior to World War I (1914, whereas the majority of the population was Kurdish Muslim (Alevi as well as Sunni Muslims). In 1915, during the Armenian Genocide, Turks and Kurds, led by Jevdet Bey Pasha, massacred some 15,000 Armenians in Bitlis. Arakel Paghishetsi (1380-1454) Armenian musician, hymnologist Hovhannes Paghishetsi (1678-1741) 49th Armenian patriarch of Constantinople Vardan Paghishetsi (?? ?-1705) Armenian chronographer Vardan Paghishetsi (16th century) Armenian medieval illuminator The city was the home of the sixteenth century Kurdish historian, Sherefxan Bedlisi (also: Sharaf al-Din Bitlisi), author of the Sharafnameh, and who was also an appointed prince of the Persian and later Ottoman Empires.